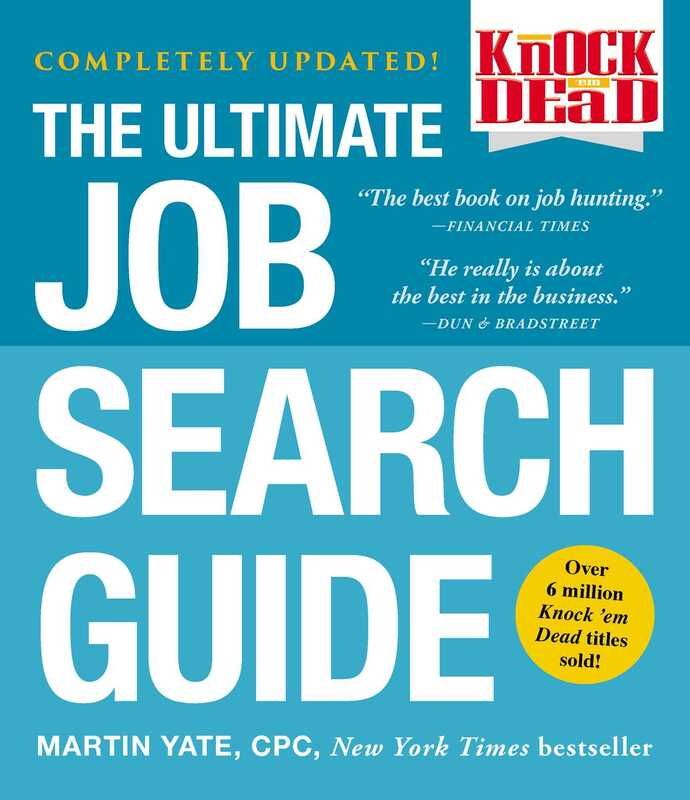 For more than thirty years, Martin Yate’s Knock ’em Dead series has helped millions of people succeed in their job search and has continued to be one of the most powerful in the field, constantly meeting the challenges of the modern marketplace. In Knock ’em Dead, you’ll learn to create a resume that works, build strong profession-relevant networks, and develop street-smart strategies for getting more interviews and learning how to turn those job interviews into job offers. More than a job-search guide, you’ll have a blueprint for becoming more successful, while gaining the ability to control your professional destiny and your economic security. This unique book gives you a practical, thoughtful, and carefully integrated new approach to successful career management in an age of uncertainty. Rather than a series of canned answers, this book is your gold standard for job change, professional growth, and a successful and fulfilling life. Martin Yate, CPC, is one of the foremost experts in the field of resumes, job search and career management. The author of Knock ’em Dead, Knock ’em Dead Resumes, Knock ’em Dead Cover Letters, Knock ’em Dead: Secrets & Strategies for First-Time Job Seekers, and many other career books. Martin has helped millions of people achieve professional success and he can help you too.